Happy Easter and good Monday Morning! Wanted to share a song from our service yesterday, POWER. I don’t know the origins of this song (I learned it from Steve Bowen, an amazing song leader and choir director). But we love to sing it, especially on Easter (I have been suffering from sickness so my voice is a little sketchy but thought this recording would still encourage you). 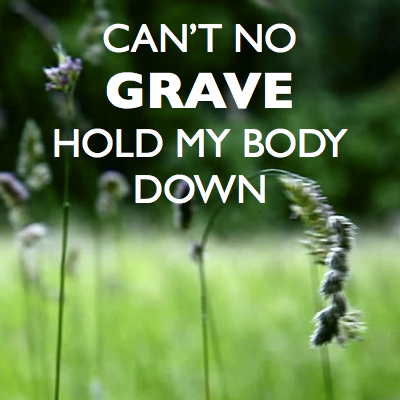 It’s a great song about the power of Jesus over death and the grave. Speaking of Easter… For the early Christians, they saw Jesus’ resurrection as the start of a new world, a new creation, a new kingdom, in which Jesus is already ruling and reigning as Lord. This transformed them, made them bold – they faced persecution and death with courage and faith (whereas before the resurrection they were terrified and without hope). After they saw him alive, they never backed down on their claim that Jesus was risen and that made all the difference, make him the ultimate authority. King and Lord (over Cesar). For us today, the resurrection means everything! He backed it up. He rose from the dead. That made all the difference. His presence continues – He is reigning over his kingdom even now. We face a bodily resurrection ourselves.